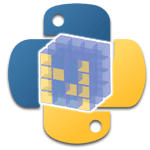 NumPy is a Python package providing fast, flexible, and expressive data structures designed to make working with 'relationa' or 'labeled' data both easy and intuitive. It aims to be the fundamental high-level building block for doing practical, real world data analysis in Python. The best way we learn anything is by practice and exercise questions. Here you have the opportunity to practice the NumPy concepts by solving the exercises starting from basic to more complex exercises. A sample solution is provided for each exercise. It is recommended to do these exercises by yourself first before checking the solution. Hope, these exercises help you to improve your NumPy coding skills. Currently, following sections are available, we are working hard to add more exercises .... Happy Coding! numpy.split() Split an array into multiple sub-arrays.